After a divorce or legal separation, big decisions must be made if there are children under 18 in the family. Both parents will need to decide who will take custody of the children when the separation occurs. Sole child custody is when only one parent maintains legal responsibility over the child. The other parent may still be able to see the child and be a part of his or her life, but the parent granted sole child custody has full legal rights over all decisions and responsibilities related to the child. There are two type of sole child custody that may be granted: sole physical custody and sole legal custody. Sole physical custody means that the child will live with one parent and the other parent may be granted visitation rights. Sole legal custody means that the parent will have full responsibility for decisions related to the child's life and welfare. Either one or both of these types of sole child custody may be granted. Judges must take many aspects into consideration when determining sole child custody decisions, such as relationship between the parents and the child, relationship between both parents, history of abuse, best interests of the child, location and income of the parents, etc. If the parents do not agree about custody decisions, having sole child custody granted can cause life-changing consequences for the parents involved and of course for the child involved. If the other parent is not responsible, not stable, has history of any abuse, or is in any way less than competent in caring for the child, losing custody to that parent could be devastating and could put the child's well being into danger. Regardless of who is granted sole child custody, both parents are usually encouraged to share in the child's life equally. However, if this would not be in the child's best interest, child custody disputes and unfavorable court decisions might arise. Sometimes parents can come to custody agreements on their own. However, when a custody dispute arises, it will be up to the courts to decide who gets custody over the child. This decision is not taken lightly and can take a long time to settle. In the meantime, one parent might be granted temporary sole child custody, resulting in more stress for the other parent and confusion for the child. A family lawyer that is experienced in sole child custody law can help you through this strenuous process. A family law attorney can help you fight for or against sole child custody, depending on your circumstances and needs. In addition, if one parent has broken existing custody arrangements, an attorney will help you take action and navigate the complicated laws and court proceedings. A family law attorney understands the sensitivity and importance of family issues and will help to defend your rights as a parent and protect the best interests of your child. To get help with child custody issues, contact Attorney Search Network today for a Family Law Lawyer Referral with Sole Child Custody experience. 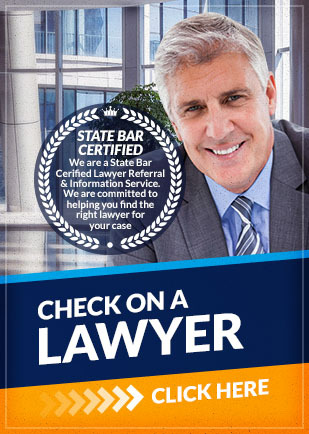 We can help you find an experienced lawyer who will help you in all child custody issues.